Posted by PhD candidate Marcus Nyman. You can follow Marcus on Twitter @marcnyman on Instagram @marcnymanrun and on the department website. A month ago I returned from my first venture to the AAG and indeed my first venture to the United States. Here I share some thoughts on my week there. The scale of the AAG is something of which you can be informed ahead of time but you cannot quite appreciate until there. With over 8000+ attendees, 1500+ sessions, across three separate conference venues in the Back Bay area of Boston you would be justified in calling it ‘bewildering’ at first glance. Such scale is not surprising given the breadth of geography as a discipline, yet in reality there were a multitude of conferences going on at the one time. Researchers from across geography and beyond using the AAG to learn about the state of the art of the discipline, reaffirm connections with friends and colleagues from different institutions and countries, and seizing the opportunity to kindle new ones. My own paper formed part of a series of sessions entitled Food Sharing: contemporary cultures, practices and economies, which ran throughout the day and culminated in a panel discussion between academics and local food activists. This was organised through another ERC project ‘SHARECITY’, which is looking at the potential of emerging approaches to urban food sharing. The papers were empirically and methodology diverse, with topics covering urban foraging and gleaning, food bartering, food solidarity movements, place-making and food, street food markets, ‘real bread’ and beyond. Entitled ‘Discerning the food from the trees: urban foraging in London and the reimagining of urban nature’, my paper sought in part to connect issues around urban food sharing economies to wider considerations of the politics and cultures of urban nature. Drawing on both my ongoing empirical research and the vital materialism approaches of scholars such as Jane Bennett, it looked to position food, when viewed through the lens of urban foraging, as an unstable category, as well as unstable matter. In doing so it emphasised the process of becoming food, rather than being food, and that the multiplicity of urban land uses, class and cultural diversity, and contestation over space and ideas in cities means foraging practices reveal ambiguities in the status of urban food and urban nature. The empirical examples touched on three areas – the difficult status of ‘waste’ or ‘surplus’ where food is collected from ‘wild’ or unintended sources in urban space; the subtle distinctions between how food foragers and botanists see, engage and walk with plants in cities; the ambiguous discourses that imply distinctive ‘cultures of foraging’ in London. All around Somerville, where I was staying and across the river from Boston proper, the New England vernacular style of detached, wooden-clad houses is interlaced with the infrastructural arteries, retail outlets and increasingly gentrified neighbourhoods. Despite this gentrification, the city retains a degree of heterogeneity in population, land use and economy. Before returning to London, I walked northeast from Union Square, over Prospect Hill and towards Assembly Square, which hugs the banks of the Mystic River. 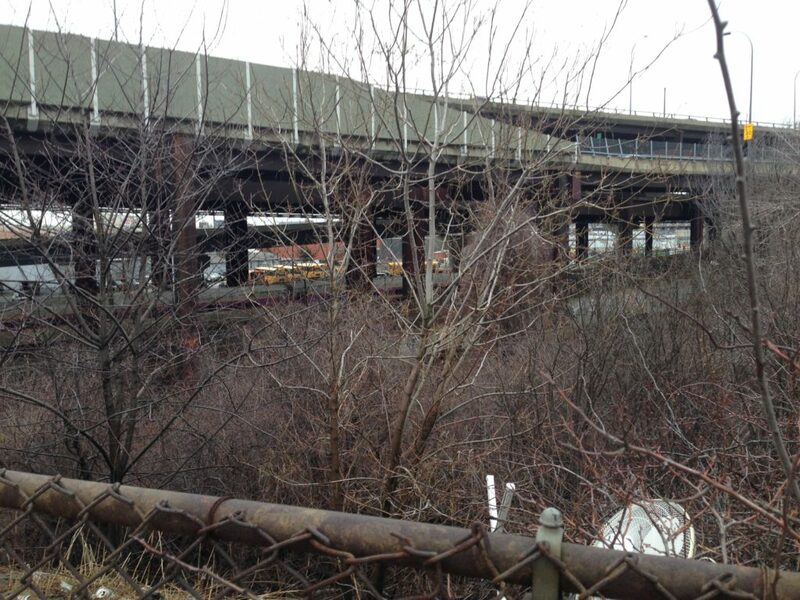 It is the site of a former Ford Motor Company plant and cut off from the rest of Somerville by Interstate 93. Its lack of pedestrian amenity and vast footprint of parking lot suggest it was never meant to be accessed by foot or necessarily anyone living close by. 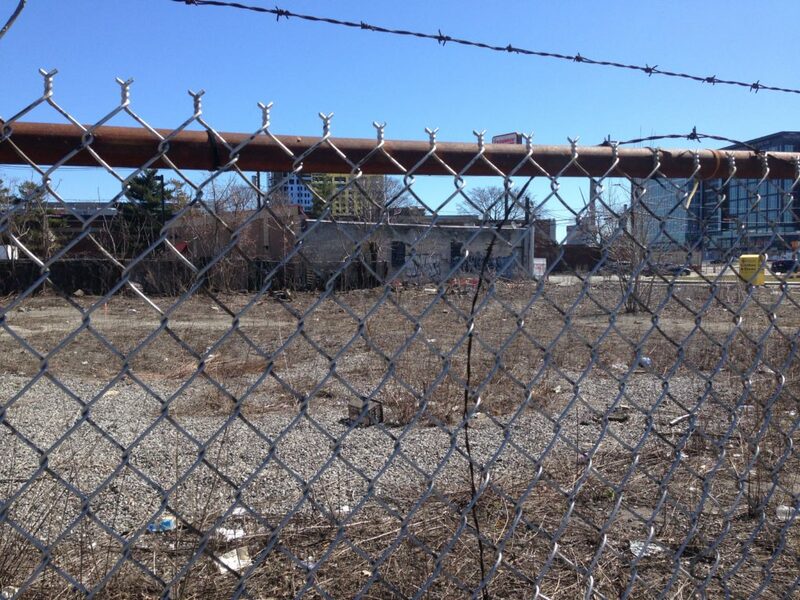 After passing Foss Park and carefully picking my way underneath the highway, and before reaching the retail and technology hub gripping the waterside, I was confronted by a small patch of left ground – overgrown and underused. Perhaps this patch was still in need of decontamination, perhaps it was too small to make use of or perhaps some quirks of planning had bypassed this amid the throes of regeneration. 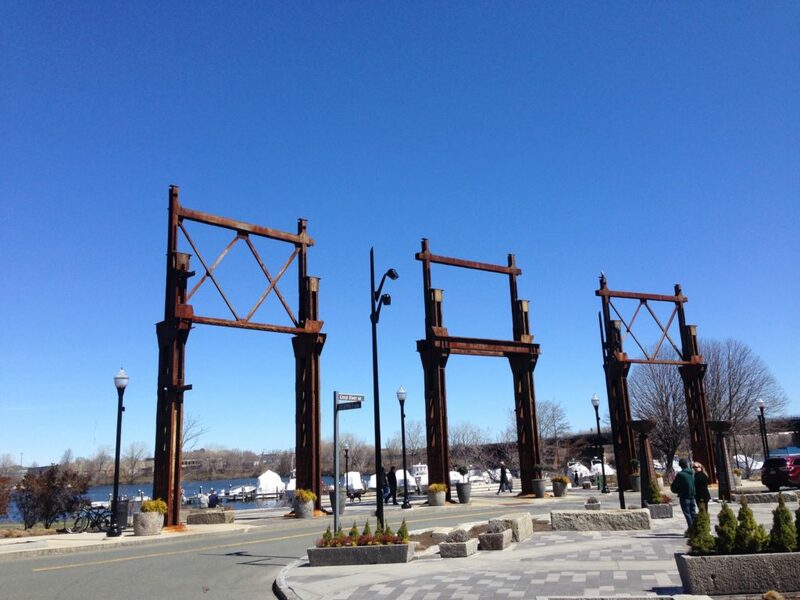 In an effort that is replicated in uncountable post-industrial developments, the waterside retains some of the rusted architectural features of its working age – a nod to a manufacturing past which might have offered more bombast and clamour than brand outlet stores on a sleepy Sunday in April. 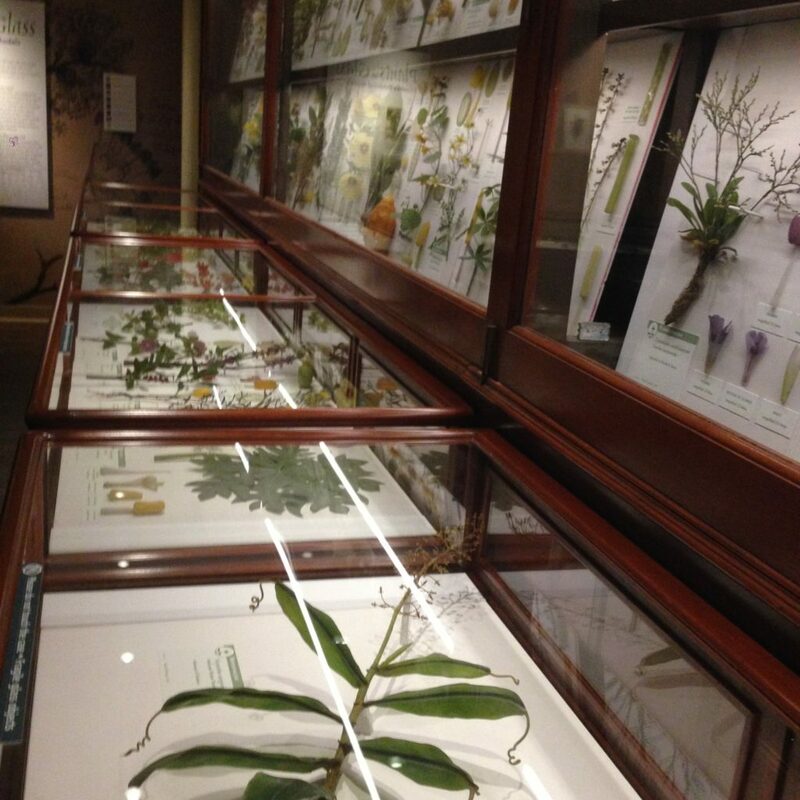 Being in the area, I seized the opportunity to visit the renowned Glass Flowers displayed at the Harvard Museum of Natural History. This extraordinary exhibit of several thousand life-sized and enlarged flowers and flower parts was originally conceived as a didactic tool for the study of plant form but in addition to their botanical accuracy has also become an international attraction for the craftsmanship, beauty and cultural heritage they embody.